D'Angelico's Premier Utica isa 3/4-sized dreadnought and an ideal musical travel companion. Featuring a 22.8" scale length and slim, C-shape neck, the Utica is a compact non-cutaway boasting exceptional comfort. 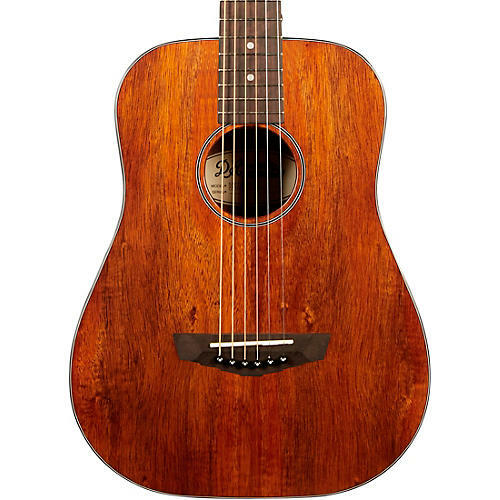 A laminated koa top provides warm, crystal-clear tone—and its resonance far surpasses what you might expect from its smaller body shape. The Utica's lightweight body makes it a perfect companion for a weekender, so there's no reason to ever leave your guitar behind. You can bring it with you, but you have to buy it first. Order now.